"It is little secret that Tuchel’s relationship with technical director Antero Henrique hasn’t been the best. After Henrique failed to deliver the two midfielders that the coach tirelessly (and very publicly) lobbied for during January, it won’t have improved much." No defeat is a good one but some, evidently, are worse than others. On Sunday night, Paris Saint-Germain lost their Ligue 1 unbeaten record for the season as they went down at Lyon, with the Groupama Stadium as close as they have to a bogey ground, having lost there on three of their four visits. While this might have been a big deal in some quarters - former Nantes and PSG goalkeeper Dominique Casagrande celebrated the Parisians falling short of the former's single season unbeaten run of 32 on Twitter which he played in, for example - this was a relatively palatable loss. Even if Lyon are the only team in France capable of coming anywhere near ruffling PSG, it's not going to have any effect on the destination of the title. Thomas Tuchel's side remain 10 points clear at the top with two games in hand over both of their nearest challengers, Lille and Lyon. The manner of the reverse, however, has sparked some concern in the French media. During a week in which Neymar ruefully said he was hoping for the gift of a new metatarsal during a speech he gave at his 27th birthday party in Paris, his club are looking more stretched than ever in terms of personnel. 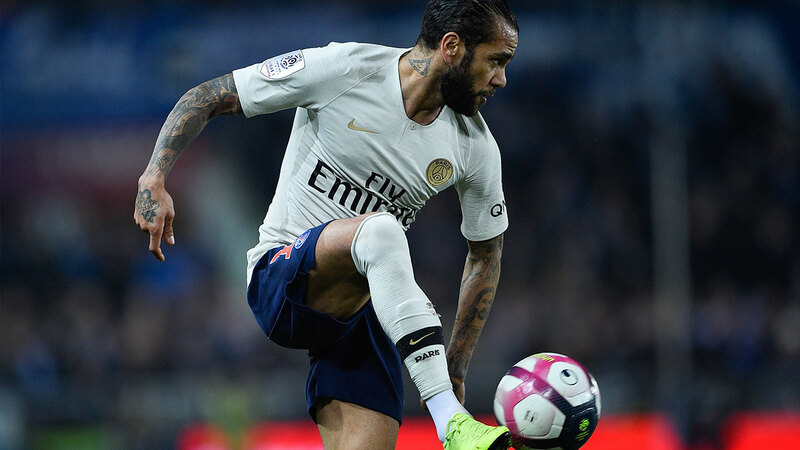 Tuchel again picked a midfield containing two defenders - Marquinhos and Dani Alves - at Lyon, a match in which they were overrun for large parts of the first half in particular, and in which they were bailed out by a number of Alphonse Aréola saves. Just as Lyon's skipper Nabil Fekir talked after the game about how taking on PSG was a handy stepping stone to facing Barcelona in the Champions League, Parisian minds are already turning to the meeting with Manchester United next week, and both the performance and composition of the team are concerns. It is little secret that Tuchel's relationship with sporting director Antero Henrique hasn't been the best. After Henrique failed to deliver the two midfielders that the coach tirelessly (and very publicly) lobbied for during January, it won't have improved much. United, after their upturn under Ole Gunnar Solskjaer, are marginal favourites for the first leg at Old Trafford, priced at [2.68] to the visitors' price of [2.78], with the draw at [3.7]. Clearly they are an entirely different proposition to the one they were under José Mourinho when the draw was made. The question really is how different are PSG to the team that was second-best by some distance at Liverpool on Matchday One, even if they were just narrowly beaten? Their lack of substance in midfield was clear at Anfield, which is why the one midfielder they did get through the door this window, Leandro Paredes, is seen as being vital to their chances. It's also why their staff were understandably outraged and had their hearts in their mouths at a poor tackle by Fekir on Paredes late in Sunday's match. Their failure to get in Idrissa Gueye or, indeed, the mooted plan B of Lille's Thiago Mendes may yet haunt them, especially with Paul Pogba having found form and clearly in need of countering. The continuing marginalisation of Adrien Rabiot, after he refused to sign a new deal, is another headache for Tuchel. If you add in the absence of Neymar for both legs, in an unfortunate echo of last year's last 16, a club that should never have to complain about resources is actually left looking a little short-handed. A potential Neymar stopgap, DC United's Luciano Acosta, also saw a move fall through on deadline day. The Champions League is PSG's bottom line in the remainder of this season. If they should fail to get past United, their fans will lament their slow January for some time to come.